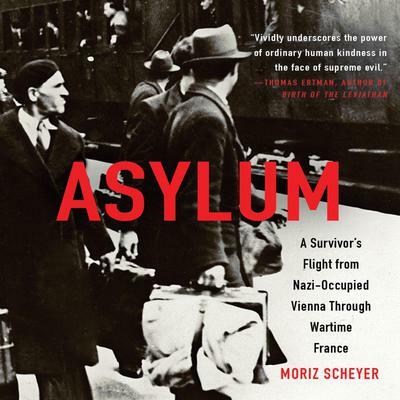 A recently discovered account of an Austrian Jewish writer's flight, persecution, and clandestine life in wartime France. As arts editor for one of Vienna's principal newspapers, Moriz Scheyer knew many of the city's foremost artists, and was an important literary journalist. With the advent of the Nazis he was forced from both job and home. In 1943, in hiding in France, Scheyer began drafting what was to become this book. Tracing events from the Anschluss in Vienna, through life in Paris and unoccupied France, including a period in a French concentration camp, contact with the Resistance, and clandestine life in a convent caring for mentally disabled women, he gives an extraordinarily vivid account of the events and experience of persecution. After Scheyer's death in 1949, his stepson, disliking the book's anti-German rhetoric, destroyed the manuscript. Or thought he did. Recently, a carbon copy was found in the family's attic by P.N. Singer, Scheyer's step-grandson, who has translated and provided an epilogue.